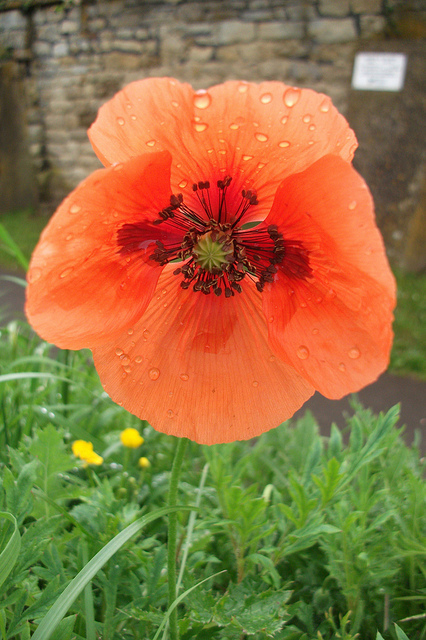 Feeling a little delicate today, I thought this delicate poppy was a wonderful thing to see this morning. a little monday morning blues perhaps? although the sun is finding its way out as we speak. from layers of cobwebs and dust. It really is a two season space here, so now our life is ready to expand into the summer. and then it will be back to the top of the garden again. It's really growing fast now. Lately I have been enjoying my walks through nature with my little dog. Sometimes we go up on the common and sometimes the park or the woods, so it's lovely to look around and see what's happening. 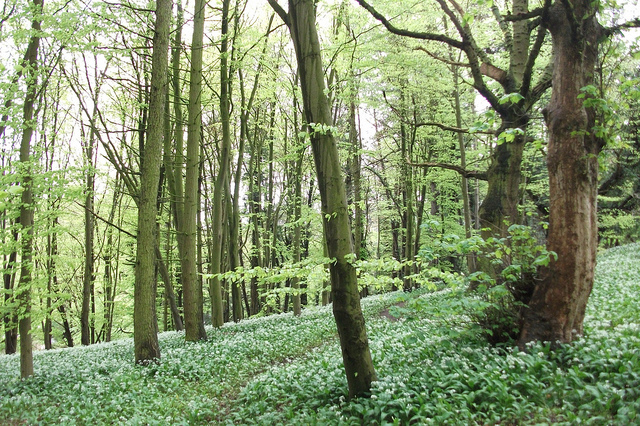 The bright green leaves and the wild garlic growing in the woods were just heavenly. This weekend I took myself away from the computer (mostly!) and this was really needed. Just some time to breathe out. I am learning so much and it's all pretty exciting. Patience is needed, I guess it will all come when its good and ready. You can see this mom below, she waited so patiently for these little chicks to happen. I watched her wait for a long time. 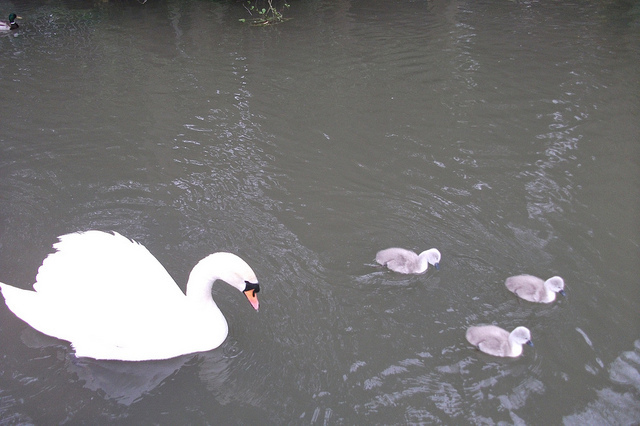 There was one day of worry when mum and dad both seemed to disappear so I was very relieved today to see this little lot swimming by today. Clever mom. 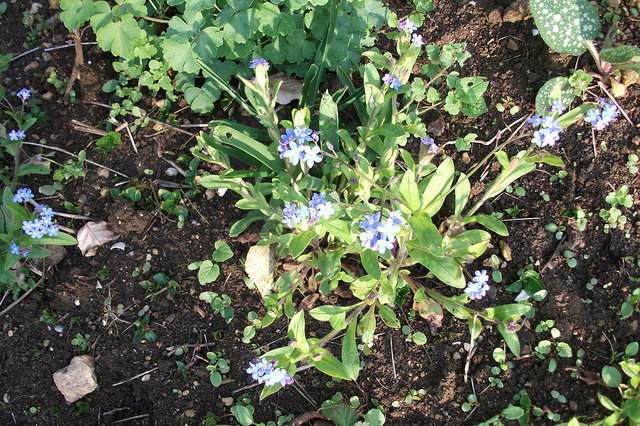 I love the earthyness of this picture of these forget-me-nots I found in my garden. Just need to breathe in some earth now and again, makes me remember to keep my feet on the ground. I love the way the sun is dancing on them. This weekend I really appreciated seeing my 13 year old make good use of our local leisure center, enjoying his weekly roller disco on saturday and then swimming at splash time on sunday. Good healthy stuff. Realizing I am such a creature of habit, I like to get everything housey done at the weekend, leaving the week free to be what it will be. I guess some people do this the other way around, but for now this is how it works for me. Feeling proud of myself for managing to thread 4 needles on the over-locker that I was given by a friend, getting the tension right ( at least it looked right to me), and actually making it work. My goodness I even read the instruction book, had no choice really! So looking forward to making lots of sunshine cushions now. 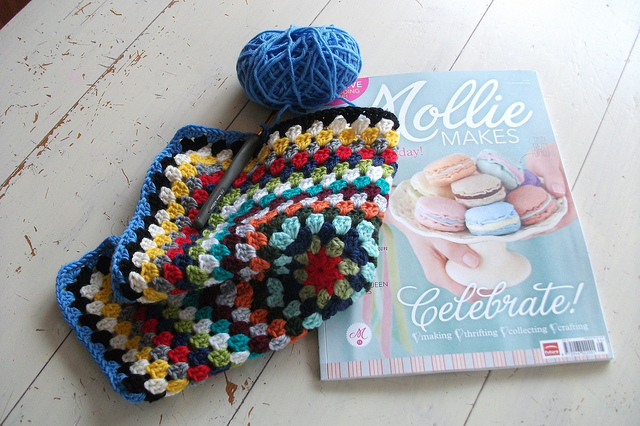 Enjoying my crochet cushion covers so much, that I'm actually making another using the same colours in the same order. It's great not to have to make any decisions this time. So easy, and these two have been my two favourite accompaniments this week around the house. So, I find myself learning to let un-resolved issues just be there. It's hard. We all have them. Wondering if I'm doing enough. Enjoying doing other things. Sometimes scared. Learning to be patient. Accepting that I don't have the answers to everything(smile). Just trying to be present to it all. Allowing the delicate to be there. Wondering if we are about to turn a corner. Hoping. Wishing you all a very good week and that blue skies will come.